Best of the Barns 2018 | We want YOUR suggestions!!! 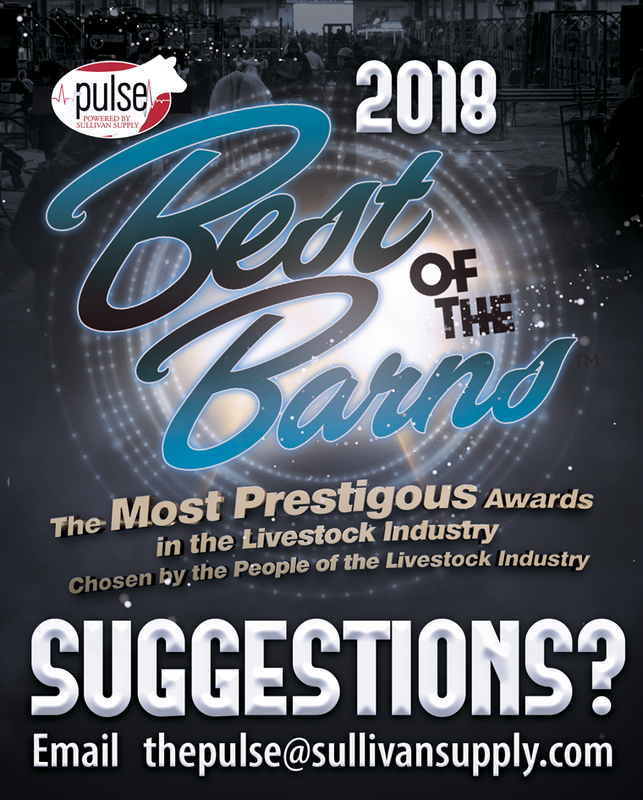 We are gearing up for the 2018 Best of the Barns awards, and since these awards are chosen by the livestock industry, we want you involved every step of the way. Right now we are looking for your suggestions for categories for the 2018 awards. We have had a great list in the past, but we want to know what you want to see this year. Just email your suggestions to thepulse@sullivansupply.com!